A solid training plan equals athlete success:"My race went well, smashed my goal of 5:45 with a 5:04. The plan was great and have recommended it to friends. I will purchase a plan for the full IM next year." Thanks, Eric D.
Length: This 24 week program is an Beginner-Intermediate Plan for an Ironman athlete. This plan has less volume and intensity than the Advanced plan as it averages 13 hours per week and has a max. week of 18:45. The weeks have 3 swims, 3 bikes, 3 runs, 1 brick run and 2 strength sessions. Your off day is Friday, your long ride is Saturday and long run is on Sunday. Our programs are designed for the age group triathlete who has a busy life with a full-time job, a family and/or other responsibilities. In this program, the longer workouts will be on the weekends, and the weekdays will consist of shorter workouts. There will be bike-run (or brick) workouts on most Saturdays and there will be a race simulation during this plan. During the training plan, there is testing every few weeks to assess your fitness and you can re-adjust your Heart Rate and Power Zones. If you don’t train with a HR or Power meter, that’s fine because the tests are still good training as you can measure improvement based on time and effort. Our plans set YOU up for success. The main goal of this plan is to help you achieve your best race! Mike has been coaching for 25+ years and uses that collective experience to help each individual athlete be successful at any level. 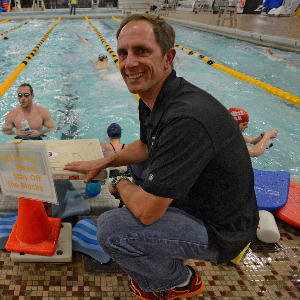 His passion for the sport and wisdom gained from coaching thousands of athletes goes into designing a plan. He has taken the guesswork out of training with this plan and looks forward to helping you too. Easy swim. 500 wu, 500 pull w/paddles. 10x50 on 20" rest. Swim easy and focus on form. Cool down for at least 5'. Run on a flat course or treadmill. 10' Z1, then 10' at Z2 (about 20 bpm below LT) and then 10' Z1. RPE: Z1 = 5/6, Z2 = 6, Z3 = 7. Then 12x50 - of 4x FTD for 25, swim for 25, 4x Closed Fist Drill for 25, swim for 25, then 4x Anchor drill for 25, swim for 25. Then 10x50 build or 12-16x25 carrying over the above drills. Easy cool down - all quality and you'll improve a TON. Lots of anchor drill: https://www.youtube.com/watch?v=97PHcHgWX2U - like this but with underwater recovery. Using the snorkel is GREAT with this drill. Run on a flat course or treadmill. 5' Z1, then 10' at Z2 (about 20 bpm below LT) and then 5' Z1. The key to achieving your goal is having a plan! 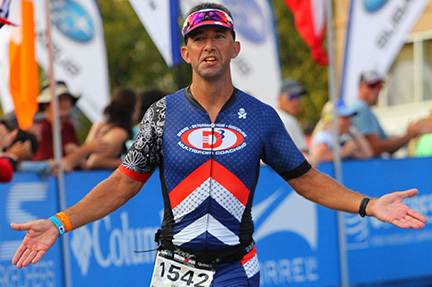 D3 Multisport founder and head coach Mike Ricci uses his collective 25+ years of coaching experience to help each individual athlete be successful - at any level. His passion for the sport and wisdom gained from coaching thousands of athletes all go into the design of his training plans. Let the D3 coaching team take the guesswork out of your training and guide you with pre-built training plans, customized plans, or 1-to-1 coaching.